One of our favorite things to get out of storage every year when changing the house from winter to Valentine’s Day decor are our “Little Love Bugs”. 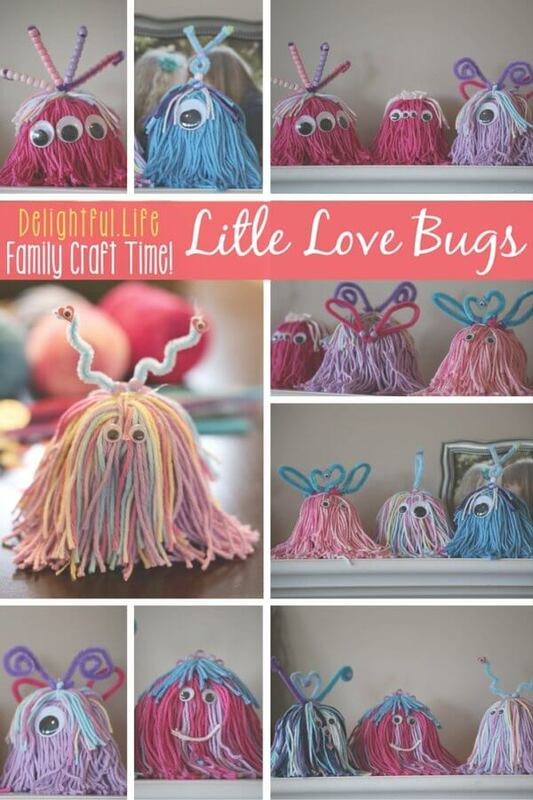 This super easy Valentine’s Day craft – sometimes called little monsters or bugs – is easy and fun for the whole family! These were absolutely the most fun we’ve had crafting in a long time. I couldn’t stop making these sweet little things! Want to make your own adorable little community of critters? Read on! 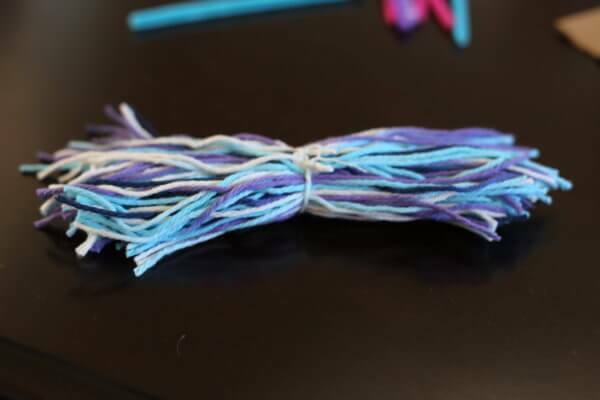 Flip over the wrapped cardboard, and cut through each strand on the side opposite the knot. 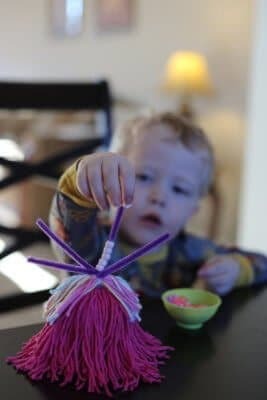 Glue the yarn onto an upside down cup (we chose to do so knot side down, but it’s not important!). 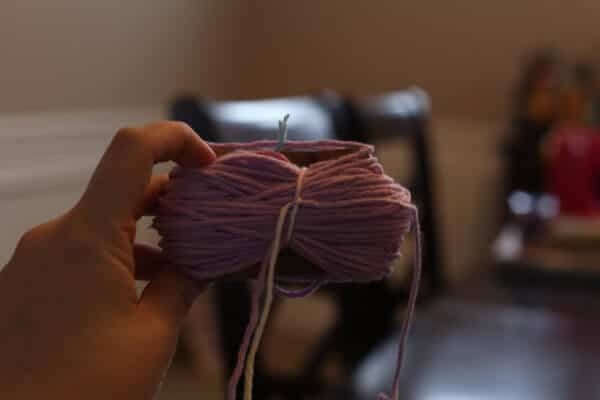 Depending on how much glue you use, you may want to spread the yarn out before placing it on the cup. 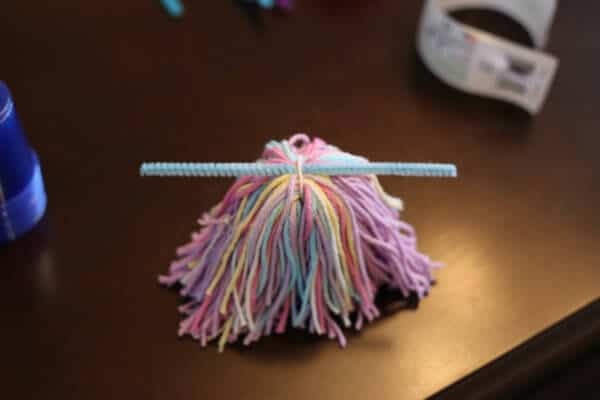 Alternatively, you can glue it down and spread the yarn around the cup after. 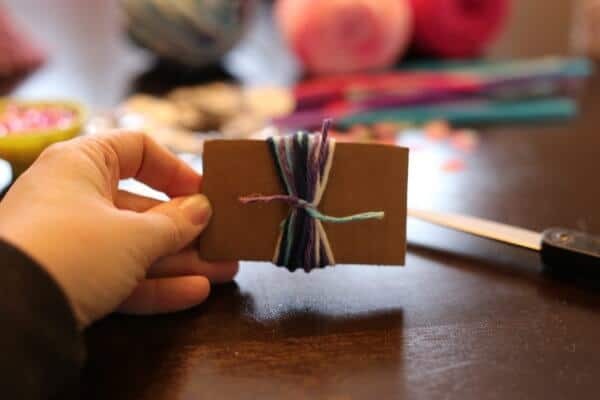 When the glue is dry, you can begin decorating however you’d like! We started out making pretty straight forward “bugs”, but got creative and ended up calling many (all?) of them monsters, instead. 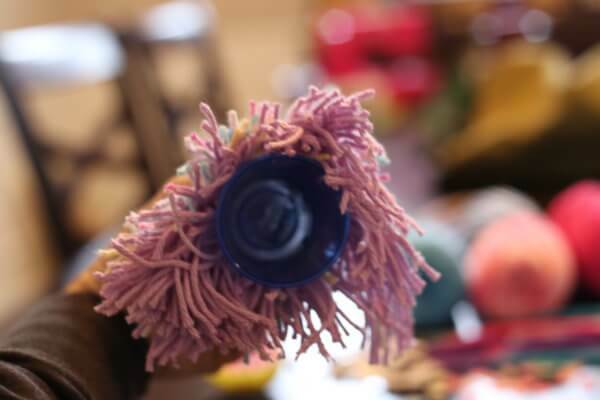 After all, we certainly don’t have four-eyed bugs around here… for which I am very grateful!We had a blast making all different combinations, and I think our little bugs/monsters would still be multiplying if we had the time. Have the best time creating your Valentine’s Day (or any time of the year!) Love Bugs. Be warned though… they’re so cute that it’s kind of addicting! Looking for other family activities? Check out this DIY fairy garden! This is adorable! (And actually doable, which is the most important part!) 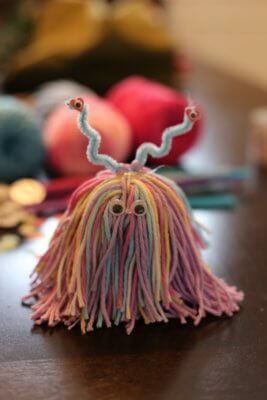 I can see this also being a good Halloween craft with different colored yarn! Those are so cute. They remind me of characters I saw on Sesame Street years ago. 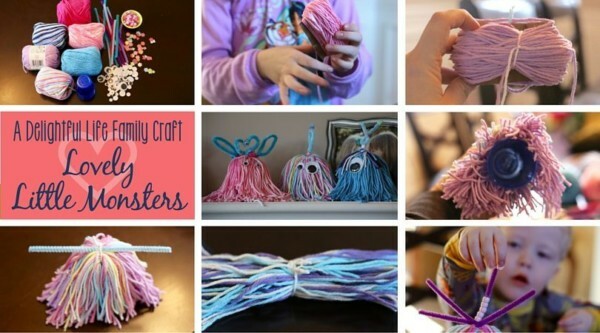 My daughter would love this craft. I’m definitely going to show her. 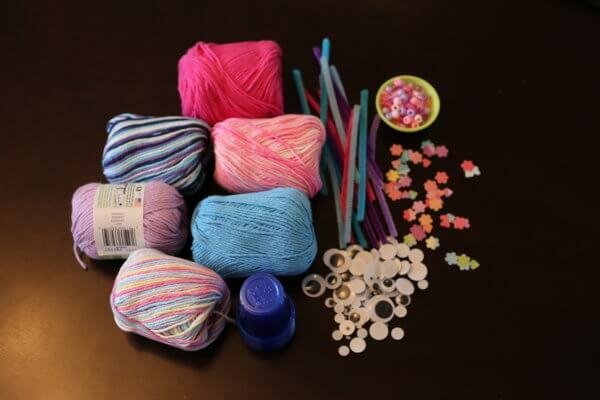 I was actually thinking these would be good to make as ‘kits’ and given our as classroom gifts. Would fit a multitude of occasions.